Nominated on its own facebook entry as Birmingham's best kept secret. I'd heard about it but this was my first visit. 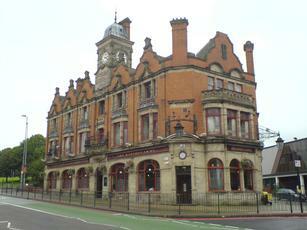 A terrifying urban walk from the CIty Centre and met with an impressive victorian classic exterior. But its the inside where all the beauty is. Simply stunning tiled interior with plush red carpets leading to snob screen bars, an opulent staircase, tiling and stained glass windows. Beer festival on - in addition to the Oakham regulars. Thai food smelled wonderful. 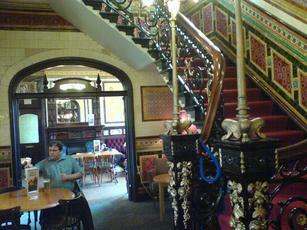 Hard to fault - the interior is sumptuous indeed - beautiful Victoriana with snob screens. It's also vast. We were here a busy Saturday lunchtime before a match between Aston Villa and Preston and fans of both teams mingled pleasantly. The Thai food is good and authentic and the ales - from Oakham - are as superb as usual - especially their classic Citra. I guess the only issue with Oakham is that the 'Oaka' branding may lead the brewery to become a victim of their success and we may all be sick of it come 2019. 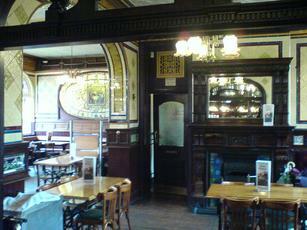 Excellent pub with a stunning interior, friendly welcome, good atmosphere and tasty, well-kept ales. I particularly enjoyed the Oakham Bishop's Farewell. 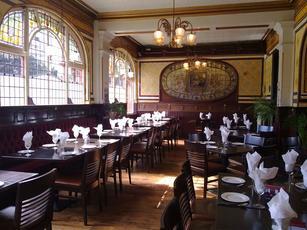 The Thai food is excellent and the lunch menu is very good value. A 'must visit' - 10/10. The Bartons is always worth a visit when in Birmingham. 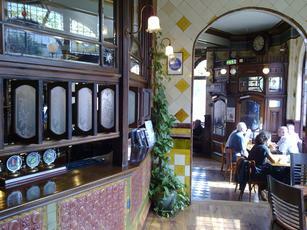 The interior is fabulous and the Oakham beers are generally in good condition. A beer festival was in full swing during our Saturday evening visit. Oakham beers on were Inferno, JHB, Citra, Bishops Farewell, Aston Villain, Hawse Buckler & Oaple cider. Guests were Grainstore Ten Fifty & Rutland Panther, Springhead Roaring Meg, Black Country Pig on the Wall & Fireside, Cottage Oarsome & Seven Bro7hers IPA. Cromwells Oliver's Downfall cider & Cavalier Perry were also on. Didn't have time for any food on Saturday. But the Thai meals are generally good too. 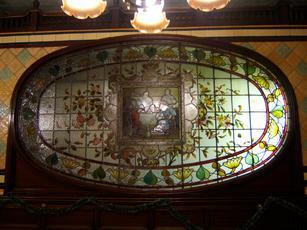 Excellent pub as renowned for its regular beer festivals and range of ales as its OTT gothic architecture and sumptuous tiling in a largely unruined interior. 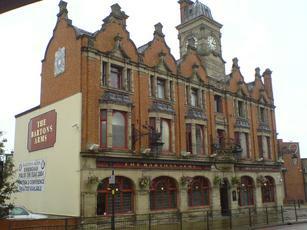 Did not stay long as I was heading for another pub in Digbeth where the half pint I had in the Bartons Arms was made.